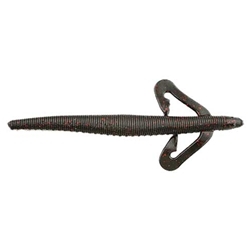 It's a sinking worm, a swimbait, a shaky worm and a do-nothing worm, all in a single body! The Gene Larew 6" Salt Flick'R is a DO EVERYTHING bait!! Leave the legs on for more action or pinch them off for a more subtle affect. 6 count bags.